Welcome to the Center for Women's Studies! Where is the Center for Women's Studies? 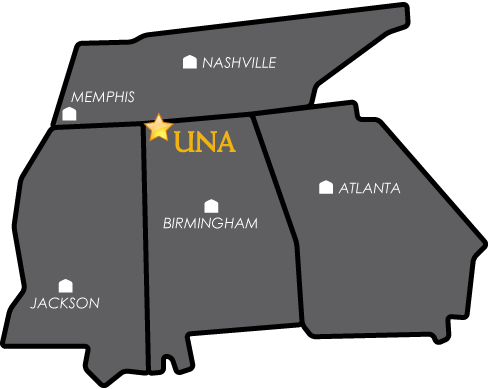 The Center for Women's Studies is a small tan house located at the edge of the UNA campus, on North Wood Avenue, next to the large purple UNA sign and across the street from the BCM. The mission of the Center for Women’s Studies at the University of North Alabama is to educate, support, and reach out to women on our campus in the context of a global community. ALL are welcome at the Center for Women's Studies! Come visit us! See a map!